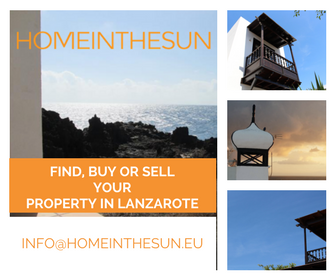 As I mentioned in my previous blog, we have lived in Lanzarote for 12 years. It is embarassing to admit that in all that time we have never visited Papagayo, other than on the Catamaran excursion whilst on holiday before we moved here. This year, we were determined to tick it off our ‘Lanzarote bucket list’! After a good night’s sleep we headed down to breakfast. Wow, what a great continental breakfast was on offer – fresh fruit, Spanish meats, cheese, yoghurts, cereal, sweet pastries the list goes on! After sampling almost everything on offer, we decided to get on the road – it’s only about 20km away from the hotel in Yaiza. The infamous dirt track that leads to Papagayo is true bone rattler, to enter the park by car you do have to pay a small fee of around 4€ but it’s well worth it if you plan to spend the day there. 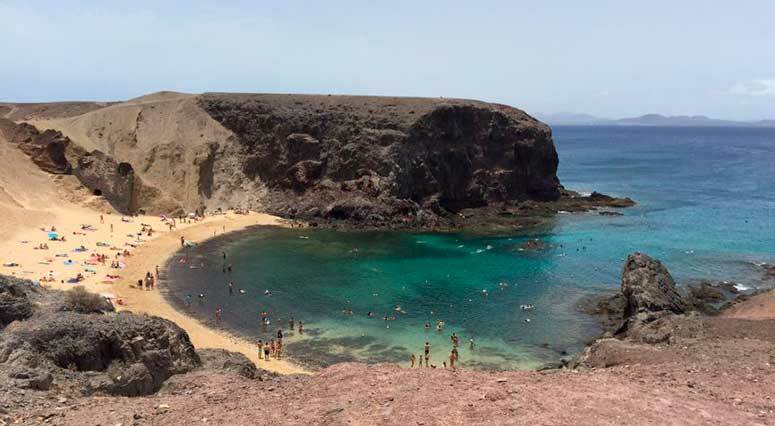 Papagayo is made up of various beaches and coves that are signposted you just need to choose which you want to visit. The popular ones are Playa de las Mujeres – the easiest to access, Caleta del Congrio – apparently nudist and gay friendly, Playa de Puerto de Muelas – seasonal campsite which opens for Easter and Summer and Punto de Papagayo. Nestled between two coves is the Punto de Papagayo home to two chiringuitos (bars), both very popular but quite pricey! The views from the Punto are absolutely stunning, crystal clear waters showcasing brilliant aqua against deep blue in contrast with white sand and steep cliffs. We made our way down the path to the right of the point to a gorgeous white sand beach with calm waters. After a couple of hours relaxing on the beach and swimming we decided to head up to one of the chiringuito’s for a clara (shandy but with Fanta lemon – super refreshing!). We didn’t bother eating, we had plans to go and eat somewhere special that night. I have to say the path leading down to the beach is pretty steep, and your calves will certainly know you’ve done some exercise! All in all, we weren’t disappointed and will certainly go back for a day out with the family soon. We headed back to the hotel to get ready for our anniversary dinner at Bodega de Uga. We have eaten at Bodega de Uga on special occasions in the past and were really looking forward to, in our opinion, one of the best dining experiences in Lanzarote. As the name suggests Bodega de Uga is in the village of Uga just a short taxi ride from the hotel, you could walk but with no pavements on the roadside I wouldn’t recommend it. Ideally located opposite the Ahumaedería de Uga, which has specialised in smoked salmon for more than 40 years, the restaurant always has delicately smoked salmon on the menu. As always the staff were friendly and, attentive and offered great advice on what to eat and drink, once again Bodega de Uga didn’t disappoint and ensured a great end to our anniversary. Just to note, there is no menu to peruse and thus no prices to work from, and whilst not cheap (approx 50€ per person), I would definitely recommend the food and atmosphere for a special occasion. I won’t bore you with a list of everything we ate and drank, the photos below speak for themselves! To finish up the owner offered us a chipito (small free drink) of home made blackberry liquer (actually made by the owners family in Northern Spain and sent over) which was wonderful, if a bit on the sweet side. We headed back to the hotel and settled in for the night. Our plans for day 3 were yet to be decided – check back next Friday to find out what we did and experienced or follow us on Facebook.